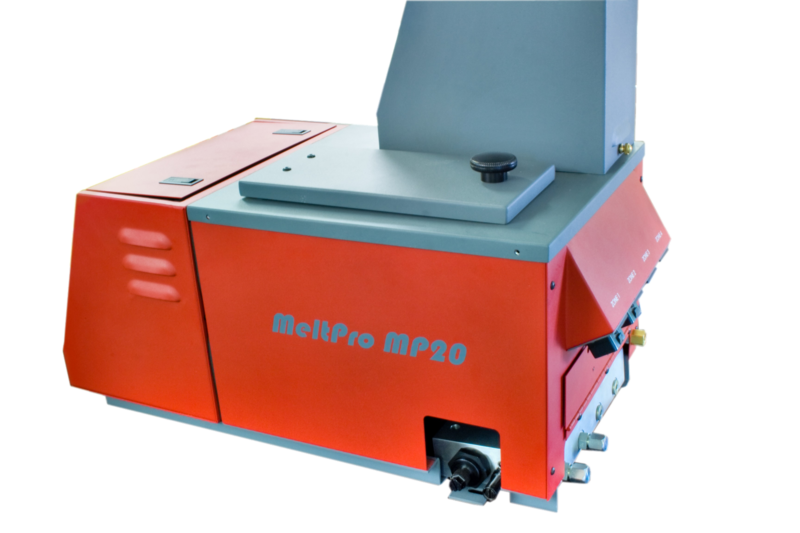 Manufactured at our facility in Florida, MeltPro offers the MP20 series as our main version of hot melt adhesive units. 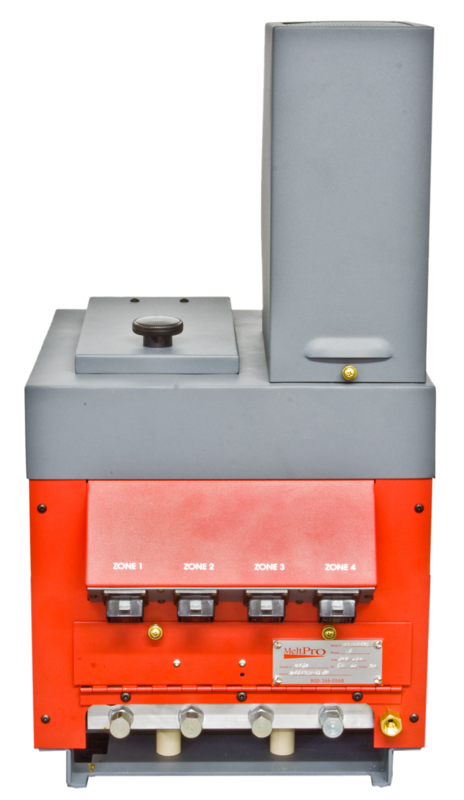 The MP20 units are a piston pump type of Hot Melt unit that can handle all of your application requirements. The units are very user friendly and are constructed in a way that is extremely easy to work on when maintenance is required. 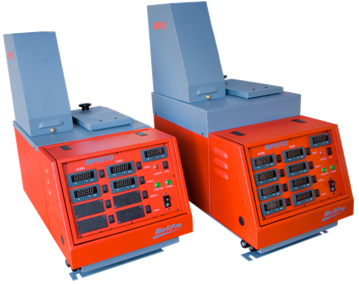 The MP20 series units can be configured to work with many OEM’s hoses and applicator guns. Click Here to search our catalog for a unit compatible to your existing unit. * Available in 20 & 30 pound capacities. * 16:1 hydraulic piston pump. * Choose between 120 or 240 volt power supply. * Stand alone temperature controller for the melting pot. * Stand alone temperature controllers for each connected hose and applicator. * Temp controllers can be replaced without disrupting other devices. * Heat transfer cylinders inside the tank to increase melt rate. * Hose / head capability from 1 to 4 zones. * Temperature sensor options of 120 Nickel or 100 Platinum. * Rear flip down access door for service to tank devices. * Vented / filtered electrical cabinet. * Adjustable “System Ready” controls. * PMI (Parent Machine Interlock) connection points to control your external machine. * Optional tank level controls. * Optional warning signal light tower. Here is a configuration chart to help you pick out the ASU Melt Unit that you need. 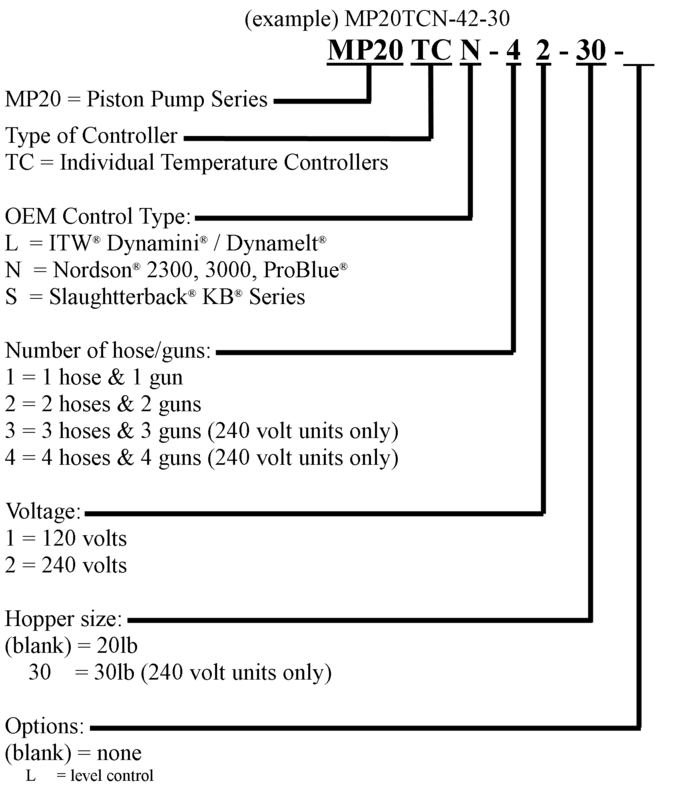 There are more options than what is shown in this chart. If you don't see a configuration to match your needs, please contact MeltPro for assistance. 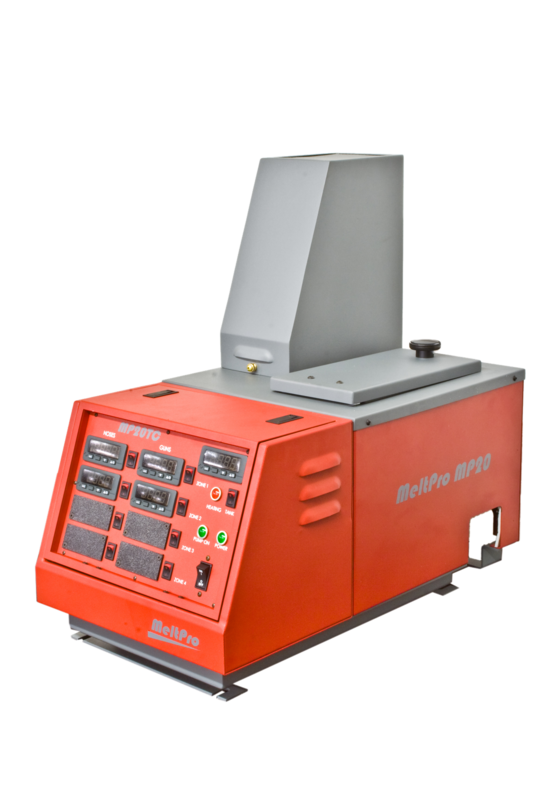 Be sure to check out our “Engineered Products” section for information on our other Hot Melt Unit offerings.